Xiaomi has always managed to woo its Indian fans by introducing impressive products at breath-taking prices. 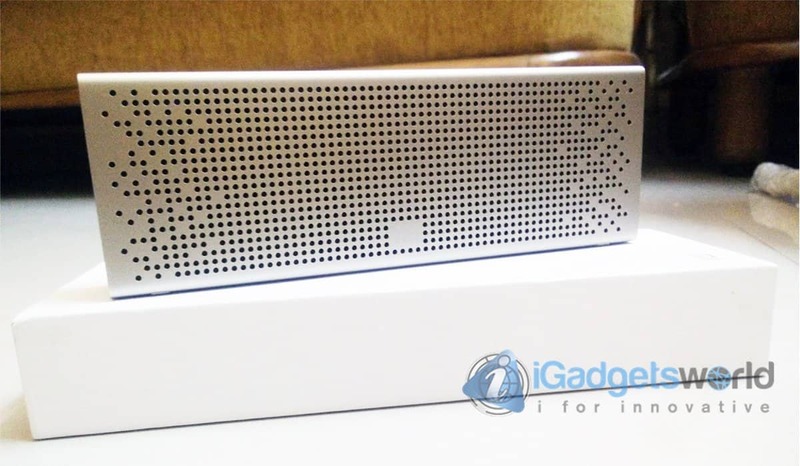 This March during the Holi festival, they launched their much-awaited Mi Bluetooth Speaker in India. Without wasting much time on the introduction lets go ahead to see if the MI Bluetooth Speaker is worth INR 1999 or not? 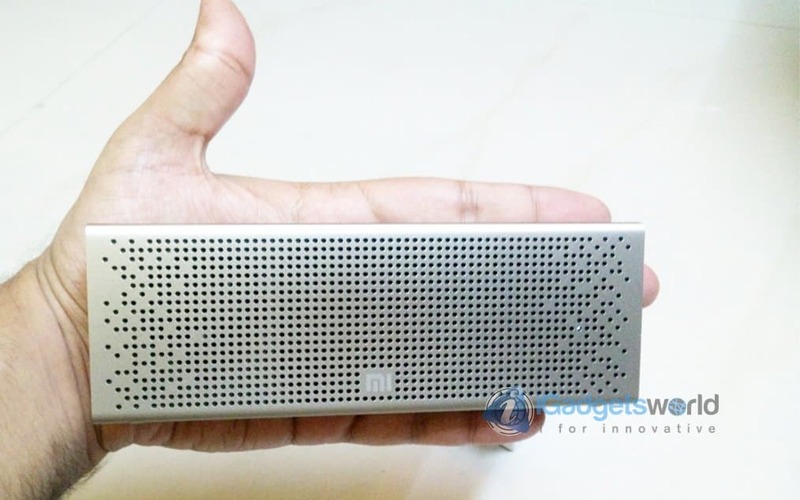 Xiaomi MI Bluetooth Speaker Review – Worth Buying? Well, there’s no USB cable and charger which seems to be a price factor here. The Mi Bluetooth Speaker consists of a USB Charging port, 3.5mm AUX cable port & a mic slot for making & receiving calls over Bluetooth. Wish there was a port for SD Card too. There are 4 buttons in the speaker. With very few options/keys in the speaker, the connection is pretty simple & quick. It took about 5-7 seconds to get connected. You need to keep the power/play button pressed for about 5 secs until it starts blinking the blue light. The sweetest part about connection is the confirmation message from the speaker instead of the regular “Connected Sounds”. While the song is being played, the power button commands Play/Pause of songs. The other buttons include Volume rockers which worked well in switching the songs back and forth seamlessly, once connected. The default volume of the speaker is set at around 50% of its full capacity. Also, there is one-of-a-kind “Battery Status Check” button with battery icon, which gives the information about the % of charge left in the speaker. When the battery is low, you get the message from the speaker. This buttons also reads out “READY TO PAIR” when you press it while the speaker is looking for s connection. Honestly, I was a bit disappointed initially as I was using Zook Armour XL for quite some time. I felt the Mi speaker lacked the punch which I desired for. Later after spending some time with equalizer settings, I found the exact output which I wanted with Mi Speaker. I tried different genres of songs including R&B, Hip-Hop, Pop, EDM, Trance, Indian Pop, etc. The sound quality is crispy clear but the bass is not up to the mark. You need to keep the bass & treble at optimum levels to avoid sound distortion at the top volume level. For a room size of up to 220 sq ft, this speaker is very loud & clear. The acoustics played very well in Mi speaker. The speaker does vibrate a bit at top volume levels but it might distort the sound if not kept on a hard/flat surface. You can use the speaker while it is charging. With the weight of 270 grams and the size of the palm, the speaker is very portable & easy to carry. This Bluetooth speaker comes with a battery capacity of 1500 mAh. It took me 2hrs 20mins to charge it to full with 2.0Amp charger (Charger & charging cable doesn’t come in the package). Xiaomi claims that the speaker will give up to 8 hours of backup but even after 3 charge cycles, the average backup I found was 6 – 7 hours of playback (not continuous though). 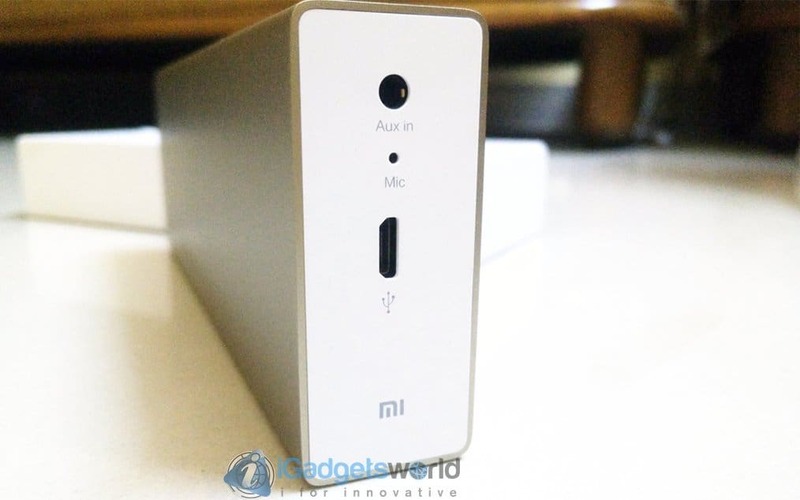 Overall Xiaomi Mi Bluetooth Speaker is an impressive device to own at a price range of sub-2000 Rs. You can buy it here. It may not be worth the hype but under Rs. 2000, Xiaomi Mi Bluetooth speaker is a worth buying device. Go for it if you want a decent Bluetooth speaker within your budget.